We want to make the Ubuntu LoCo portal a hub for social LoCo activities. 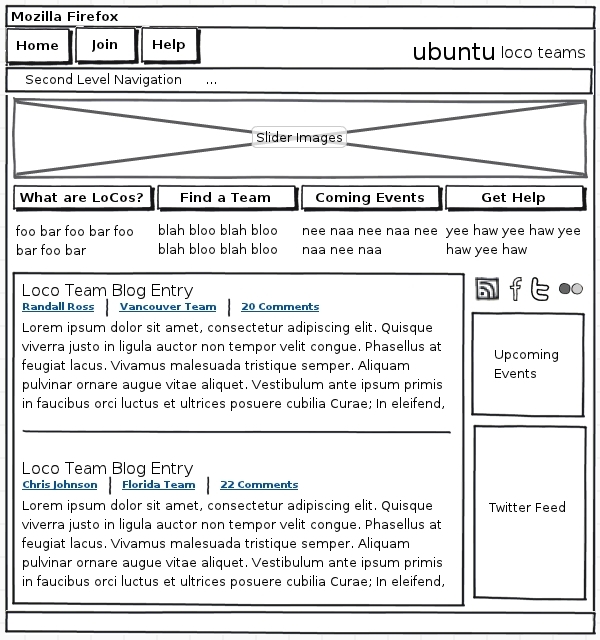 This blueprint proposes the redesign of the portal's homepage to more effectively showcase LoCo team activity and to inspire community members. We may want to consider categorizing events and then grabbing photo streams for each category presented as slideshows. (e.g. Ubuntu Hour, Global Jam, InstallFests, *Real* Parties, etc.) That would give people visual examples of how to design social events. Remove identi.ca from the team feed? Do not expose Latitude and Longitude on the event page.